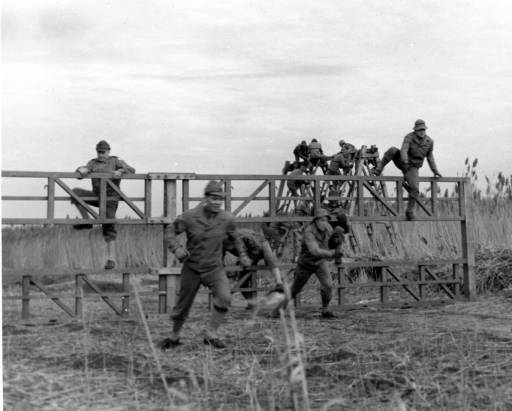 Despite its tiny size, Delaware played a major part in World War II. Out of nearly 270,000 residents, approximately 8,500 served in the armed forces. With the men gone, women and children picked up the slack by harvesting asparagus and bean crops during two week shifts that rotated so the students could keep up with their schooling. As with other states, women also joined the workforce, producing nylon at DuPont, building ships at Pusey and Jones, and creating explosives at Hercules Powder Company. Home to military installations in New Castle and Dover, Delaware trained over fifteen different squadrons from observation and bombardment to ferrying and fighter planes. The municipal airport in Dover was renamed Dover Army Air Field mere weeks after the attack in Pearl Harbor. 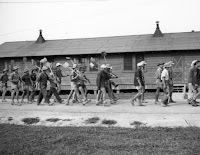 Over 3,000 prisoners of war were housed in the state. 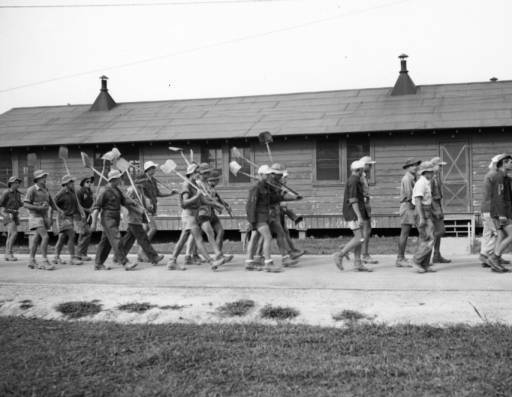 In May, 1944 a camp was set up at Fort DuPont, near Delaware City. Eventually satellite camps were constructed near Lewes, Slaughter Beach, Georgetown, Harbeson, and at the Kent and Sussex Fairgrounds. But perhaps the biggest contribution made by the state was its eleven concrete towers. 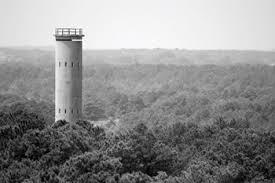 In 1938, the Cape Henlopen Lighthouse Reservation was turned over to the War Department who renamed it Fort Miles. Constructed for $22 million, it was highly secure and highly secretive. 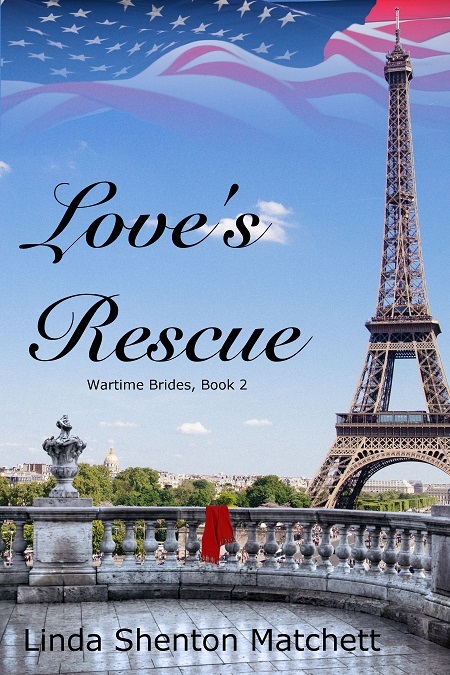 A huge fortress, bunkers were buried deep in the sand dunes and equipped with seven different guns from 3-in to 12-inch and nearly everything in between. Some weaponry was mobile while others were set upon swivel carriages, railroad cars, and cement batteries. The fort was guarded by approximately 2,000 troops. However, even with all guns and ammunition, not a single shot was ever fired in defense. So why build this fort at this particular location? The major reason was to keep Germany from mobilizing along the beach as the U.S. and British did at Normandy. Another reason was to protect the great wealth of manufacturing, shipyards, and oil-refineries up north. 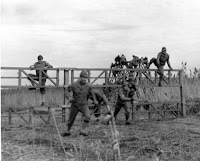 The industries were crucial to the war effort, and Cape Henlopen was the perfect place from which to guard the shipping channel. Expected to last roughly ten years, the towers still stand today. I have never visited Delaware but I would like to see the concrete towers. Thank you for sharing this information. Thanks for stopping by. I've never visited Delaware either, but we used to drive through regularly when we went to visit my grandparents.